It’s like winning Lotto. But more exciting. Imagine stubbing your toe on a 72.04kg lump of gold! It’s like winning Lotto. But more exciting. Imagine stubbing your toe on a 72.04kg lump of gold! Little wonder that John Deason and Richard Oates, the miners who discovered this 61cm x 31cm haul on February 5, 1869, called it the Welcome Stranger, at Moliagul in central Victoria. It was the largest single deposit of alluvial gold ever found in the world. Deason and his mates hacked away at their find, chipping off bits of attached quartz so it could be weighed and valued at nearby Dunolly. Seems they were pretty rough and ready and it smelted down to just 70.5kg. The remaining odd bits and chips went to the helpers but Deason and Oates could afford to be generous. At today’s rates the remaining 2268 ounces paid around $2.3m. 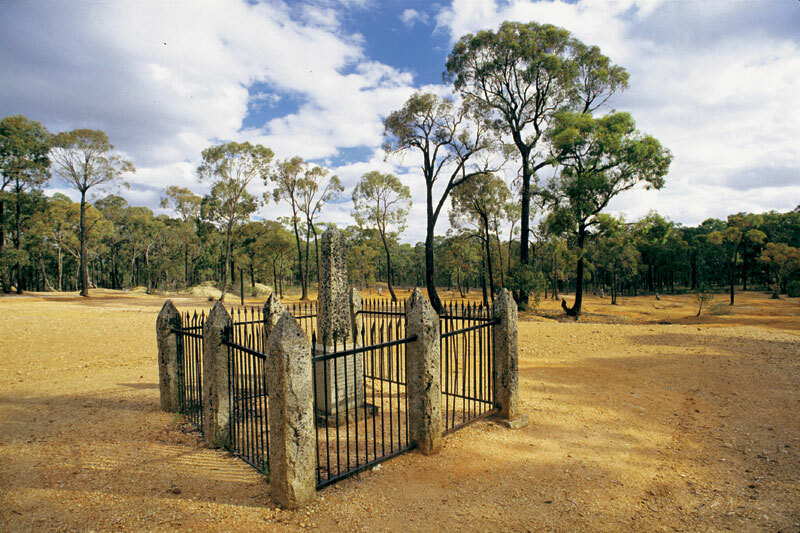 All that remains today is a memorial in the tiny ghost town of Moliagul and a replica in the City Museum in Treasury Place, Melbourne. Over a century later in 1980, in nearby Wedderburn, an oddly shaped 27.2kg nugget was discovered using a metal detector. Named the Hand of Faith, it was sold for US$1m and remains the world’s largest intact nugget, now on display in the Gold Nugget Hotel & Casino in Las Vegas. Where // Moliagul and Wedderburn are within 40km of each other in the Golden Triangle, an area that’s produced the most gold nuggets in Australia. It’s not far from Bendigo in Victoria’s appropriately named Goldfields region. Did you know? // Moliagul is also famous for being the birthplace of Rev Dr John Flynn, who founded the legendary Flying Doctor Service. where can I obtain a picture of the Welcome Stranger nugget?